It is with deep sadness that the family of Muriel Kathleen (Yorke) Koopmans announces her peaceful passing at Kennebec Manor on October 26, 2018. Muriel was born in Bear River, NS on March 19, 1933 to the late Vernon and Amelia (Parker) Yorke and was the loving spouse to her late husband, Folkert Koopmans. Muriel was the embodiment of a homemaker. She stayed at home raising her children, caring for her family, cooking and baking and enjoying the comforts of her own home. She and her husband were very caring individuals and fostered children for many years. 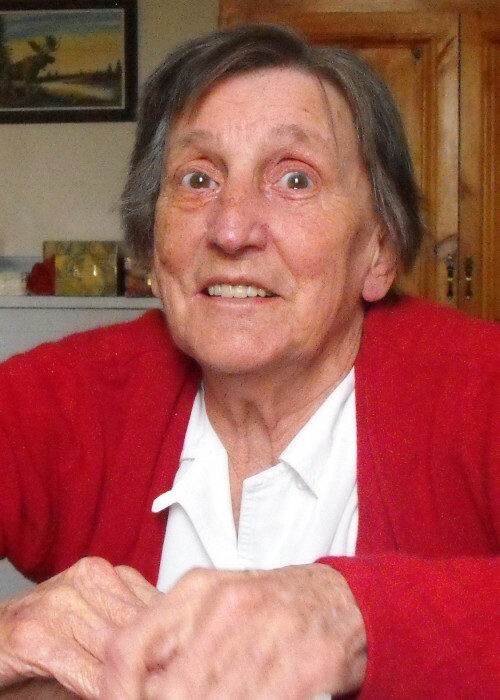 She was a quiet lady who liked to knit, garden, play the lottery and loved to play BINGO. She was very devoted to her family and all those who knew and loved her will cherish their fond memories of this wife, mother, grandmother, great grandmother, sister, aunt, and friend. Muriel is survived by her son William (Heather) Koopmans, daughters; Sheila (Lou) Parkin and Lynda (Brian) Rooke, 3 precious grandchildren; Lauren, Ryan and Michelle, four adored great grandchildren; Christopher, Benjamin, Theodore and Liam, brother Victor and several nieces, nephews and cousins. In addition to her parents and husband, she was predeceased by her brothers Raymond and Eustice Yorke. The family is grateful to the staff at Kennebec Manor for making Muriel's final years comfortable and happy. Arrangements are entrusted to Fundy Funeral Home, 230 Westmorland Road (646-2424) where visitation will be held on Thursday, November 1, 2018 from 6-8pm. A private interment will be held at a later date. For those who wish, remembrances may be made to the Alzheimer Society of Canada or to the charity of the donor’s choice in Muriel’s memory.